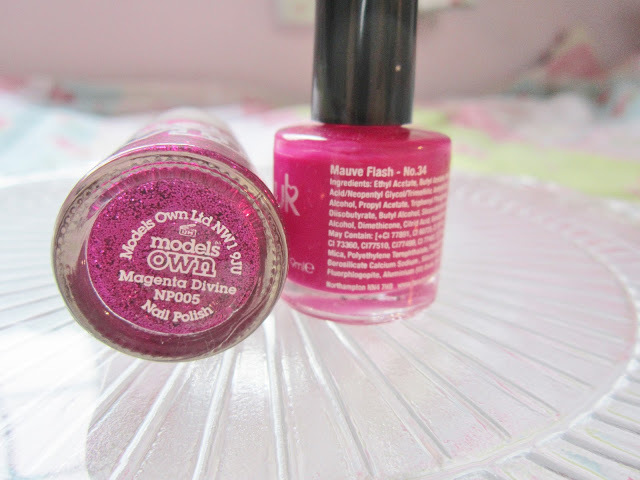 I bought this Models Own Magenta Devine glitter polish, along with the Scarlett Sparkle, a year ago in the ASOS sale. I bought them both for about £2.50 each (normally £5), so a massive bargain. Even though I got them last year, I’ve only just remembered and decided to try one! So my nails this week are coated with a bright pink called Mauve Flash by BeautyUK, and then my thumb and ring fingers have the Models Own Magenta Devine. 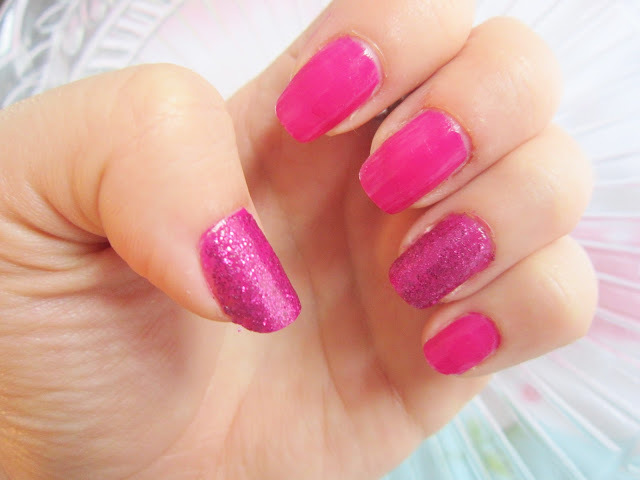 It’s a gorgeous glitter polish, it’s pink, without being too Barbie and girlish. I wouldn’t normally go for such bold shades on my nails but I love this colour. 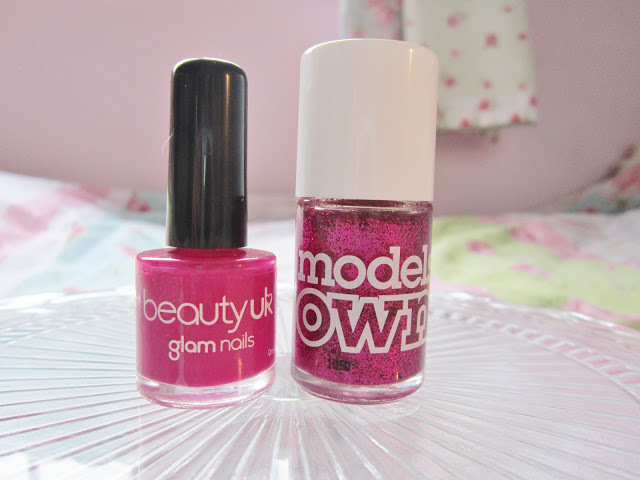 I hadn’t tried Models Own before, but I am very impressed by these; the glitter dried really quickly. The BeautyUK polish is also really good and I hadn’t tried it before. It only cost £3, and the colour is really deep and opaque after only 1 coat; I used two though! I’m looking forward to trying out the ruby red glitter soon for Christmas nails! I love Models Own polishes a little too much. Magenta divine looks like such a gorgeous colour! I own a few too many glitter ones, and they're always such a pain to take off so I don't wear them that often. Aw I love the glitter accent nails! Adore pink glitters!! Both really lovely pinks, your nails are so lovely and long! I love the magneta polish looks stunning. Definitely on my wish list now!